Streaming services are beginning to look a lot like cable. In what seems to be a weekly occurrence for OTT streamers, YouTube TV announced some major changes to its product, effective immediately. But unlike DIRECTV NOW’s recent moves — a worse product for a higher price — YouTube TV clearly improved its offerings today. Still, it’s hard to shake the feeling that this is why people cut the cord in the first place: Paying more for a bunch of channels that they never asked for. YouTube TV also said it would be adding OWN (Oprah Winfrey Network) “later this year.” Existing subscribers will pay $50 a month beginning on 5/13. Users who are billed through Apple will pay $55 a month, ostensibly to cover the App Store’s in-app purchase fee. 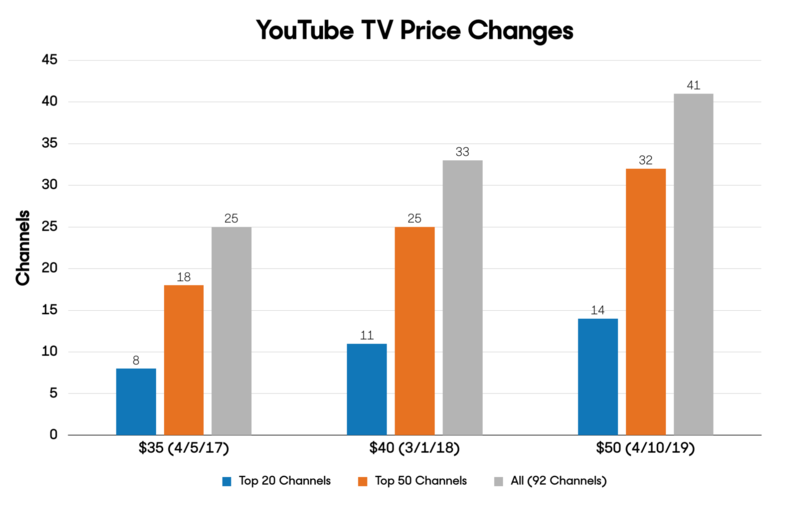 This is the first price hike for YouTube TV since March 2018, when it went from $35 to $40 a month. At that time, existing subscribers were grandfathered in to their old prices. That’s not the case now — everyone will pay $50. There’s no question that the quality of YouTube TV’s channels offering got better today. 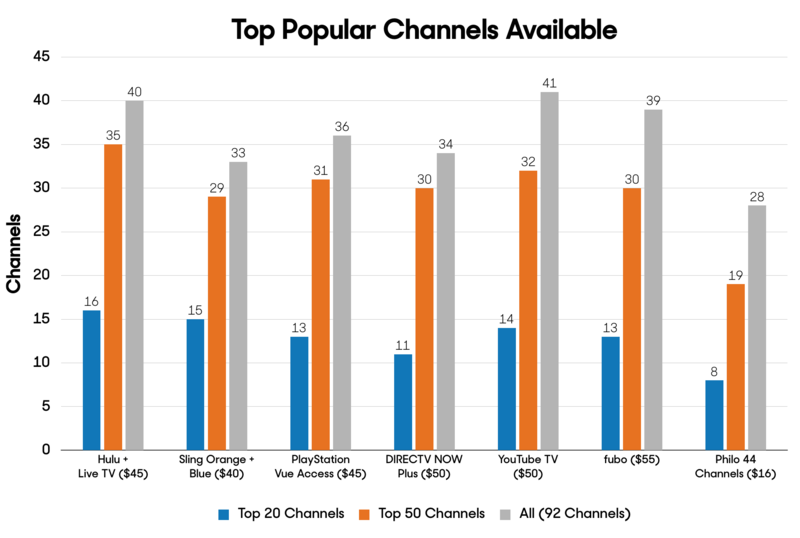 One recent survey from TiVo asked respondents which channels they wanted the most in an à la carte TV package. Discovery Channel, Food Network, and Animal Planet all landed in the top ten. They were huge holes in YouTube TV’s product before this update, especially considering that Hulu + Live TV and PlayStation Vue already had everything YouTube TV was missing for only $5 more. According to TiVo’s Video Trends Report, YouTube TV’s new lineup has 14 out of the top 20 most desired channels in a TV package. Even though YouTube TV added some quality channels today, it still falls short of Hulu + Live TV — and it costs $5 more a month. It’s a close race — Hulu has 16 of the top 20 channels compared to YouTube’s 14, but 15 fewer channels overall — Hulu has the slight edge, and it’s $5 cheaper per month. Caveat: The best live TV streaming service for you depends on what channels you want the most. That said, Hulu + Live TV provides better value than YouTube TV for most people, and it’s $5 cheaper a month. What’s more, Hulu’s ad-supported on-demand library is included ($5.99 a month on its own).